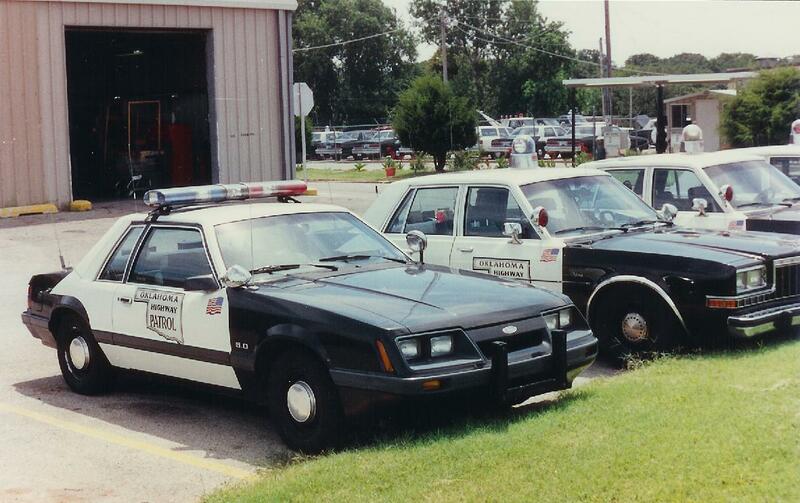 1985 Oklahoma Highway Patrol Mustang. Oklahoma reportedly ordered 20 Mustangs in 1985, which was the only year they used them. These cars were automatics, and thus received the '82-'84, 14 inch wheels. These were also run with Jetstream bars, which was a relatively new offering from Federal.